Most interested and qualified students find it so difficult on how to apply for scholarship abroad and most of them who do also have the fear of the cost of studying abroad. i have decided to give you on how to apply for scholarship abroad with little and affordable cost. You might have to make some sacrifices in the months leading up to your summer/semester/year abroad say no to splurging on dessert and cut down on on that post-Christmas-sales shopping, but being smart with your money before studying abroad is just one stepping stone on the way to bigger and better adventures. Smart saving tactics mixed with financial aid (like scholarships to study abroad) mean you’ll be able to finally achieve your travel goal just as long as you’re willing to put in the work of applying! Useful Tips on How to Apply For Scholarship Abroad. 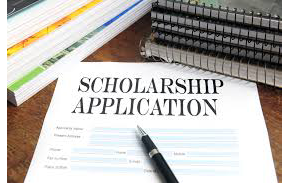 · Once you’ve compiled your list of study abroad scholarships that you plan on applying for, you now have to work on actually being awarded the scholarships. A huge part of this is your resume! Be sure to highlight any international experience you’ve had, update all of your recent campus activities and try not to go over one page. Writing concisely is important. · Cover letters go hand-in-hand with resumes, and are sometimes a crucial part of an application, as they can be your one chance to make an argument for why you deserve to be awarded a scholarship. However, you can’t just send in a generic cover letter about wonderful of a student you are. Focus on how you plan to translate your lessons from abroad into your life on campus and at home. · If you are applying for a scholarships to study abroad provided by an international university, be sure to research how that country typically organizes their resumes or cover letters and, if you’re confident enough in your language skills, you could try writing them in the language of the country you will be studying in! No, we don’t mean your bibliography. Most study abroad scholarship essays and applications require personal references someone you have worked with either in a professional or academic setting. For most students, this means reaching out to professors and asking for their assistance. When asking a professor to be a reference, or to write you a recommendation letter, always ask them far in advance so that they may prepare. Reach out to authority figures who you know not only would be happy to recommend you for a scholarship for studying abroad, but are also pertinent to the scholarship itself. For example, if you are applying for a leadership scholarship abroad, reach out to the academic adviser of the campus club you are a part of. If you are applying to an international relations scholarship, reach out to your political science professor. However, regardless of who you reach out to, always be respectful and realize that you are asking them to take time out of their busy schedules to help you and a follow-up, written thank you note never hurts either. If you are applying for a number of different scholarships or grants, as well as applying for the study abroad program itself, it can be difficult to keep track of all the different deadlines and application requirements. This may seem obvious, but make a calendar specific to your study abroad scholarship applications, with each deadline clearly marked. Staying organized is crucial when applying to more than one scholarship (or even just one!). This may seem rudimentary, but in order to get the a scholarship for studying abroad, you often have to have good grades. Not all scholarships or grants require stellar grades or grade point averages, but many of them do. This is simply because the providers want to know that the student receiving their scholarship is serious about their study abroad experience. It’s important to put in the work and get good grades before your time abroad to show scholarship providers that you plan to take your study abroad experience seriously as not just a chance to travel, but also an opportunity to expand your academic horizons. Most, if not all, study abroad scholarship applications require a personal essay. You might start having vivid flashbacks to your university application essays and the stress they caused, but never fear! In these applications, it’s your chance to shine. Be sure to let your passion for study abroad and the country you’ll be studying in to come through in your application essay. Scholarship funders and providers want to know that their money is being used for a good purpose, and that the student who is applying for them appreciates the opportunity they are being given. So don’t be afraid to express yourself; tell your story and explain why you deserve the scholarship that will allow you to study abroad. It can be easy to feel the need to rush through applications, especially if you are applying to a number of them. However, you should treat study abroad applications just as seriously as the applications you completed to be accepted into your university. Read and follow the directions for scholarships to study abroad, and leave yourself enough time to complete all of your applications without feeling like you’re under a heavy-hammer deadline. You’ll turn out better-quality work if you do not feel rushed, and better-quality work means a better chance for more financial aid! Next Post:How To Pass TOEFL Exam and Requirements.